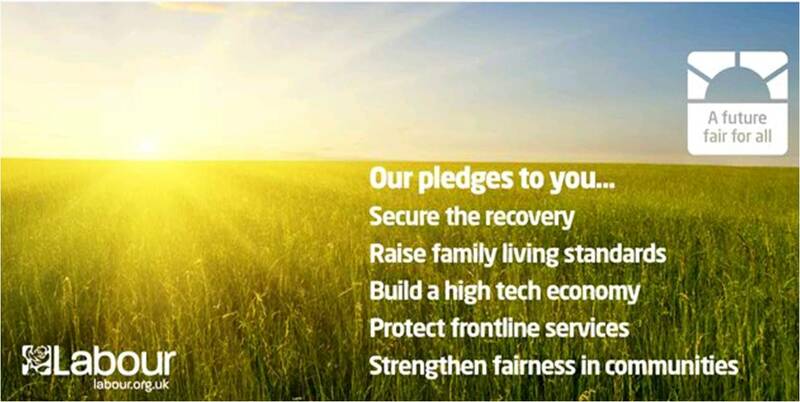 The Labour Party launched their 2010 pledge card over the weekend. This is something that Blair used with great effect in 1997, 2001 and 2005. The image is stock-looking, which always riles me, but nonetheless is hopefull and optimistic in look and feel. It’s always difficult for incumbent governments to go for a route other than to stoke up fear around the opposition, so the Labour Party must recieve credit for putting out an aspirational and positive piece of communication when they could easily have opted for negativity and alarm.